Have you been already to the Oktoberfest in Munich? I haven’t been yet. I will go tomorrow evening. This year there haven’t been so much visitors. Beer and food are getting more and more expensive. And before the Oktoberfest a lot of refugees arrived at the railway station nearby the Theresienwiese,where the Oktoberfest takes place. Maybe people are as well afraid, that a bomb attack could happen there. But still tourists are coming to have fun at this great beerfestival. Unfortunately a lot of people only want to get drunk there. Some awful accidents can happen if you had too much alcohol. I read already about some horrible stories in the newspapers. A Danish tourist came under a bus and died later. A young German boy, 17 years old, walked during the night on the tracks and have been killed by a train. He was on his way to visit his girlfriend. Drunken people have silly ideas.And these ideas can be fatal. Don’t understand me wrong. I like having fun and being a little bit drunken, but not so much, that you don’t know where you are or putting yourself in danger. Or you need to take a friend with you who is sober. It’s really sad if you are in a moment of having fun and then you are dying. I feel sorry for the grieving families. 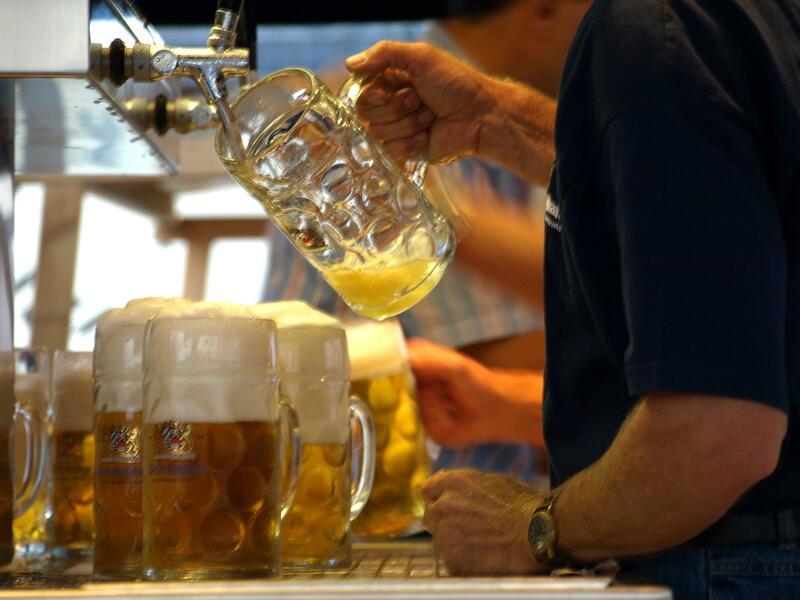 Oktoberfest can be fun, but if it’s going over the top, it can be really life-threatening. Women are getting raped, drunken visitors are getting stealed. I think, the visitors of the beerfestival should know wehre the end is. For their own safety. Ok, tomorrow it’s my turn. I will show up at the big tent of the Pschorr-Bräurosl. I am looking forward to a delicious chicken and a big beer. 15 days, 15 products, 15% discount. There will be a new product every day which will get a 15% discount.